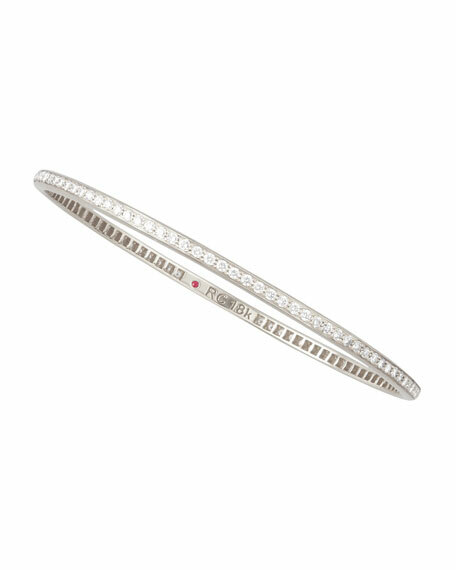 This aptly named Roberto Coin Eternity bangle provides more than mere adornment; it embodies enduring love with glittering white diamonds set all the way around your wrist. Stack several for a decadent finish. 2.06 total diamond carat weight. For in-store inquiries, use sku #302897.